Mr. Alon is an accomplished trial attorney. He focuses his practice on complex commercial litigation and white collar criminal defense. Mr. Alon has successfully represented clients in both state and federal court matters, and before administrative tribunals. His clients have included individuals, partnerships, small corporations, and Fortune 500 companies from a broad range of industries, such as: banking, wealth management, telecommunications, real estate, apparel manufacturing, aircraft leasing, advertising, beverage manufacturing, automobile manufacturing, pharmaceutical, and horse racing. 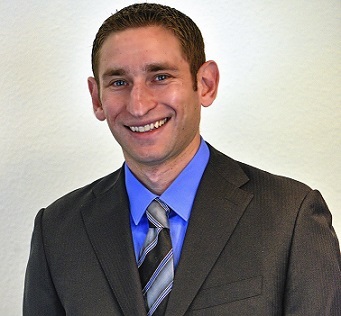 Mr. Alon began his career as a Deputy City Attorney for the Los Angeles City Attorney's Office. In that role, Mr. Alon successfully prosecuted a variety of criminal offenses, obtaining convictions in numerous jury and bench trials. From 2010 to 2015, Mr. Alon was an associate at White & Case LLP. While there, he handled a wide array of complex civil litigation matters in courts across the country including cases involving contract disputes, unfair competition, business torts, trademark infringement, securities, probate and consumer privacy claims. Representation of a national cable service provider in defense of a multi-million dollar putative nationwide class action filed in federal court on behalf of former customers involving its data retention and privacy policies and alleging the company violated, among other things, the Federal Cable Communications Policy Act and two related California privacy statutes. The court granted a motion to dismiss and entered judgment in favor of the client. Representation of an apparel manufacturer in defense of a federal action seeking damages in excess of one million dollars brought by an international distributor alleging breach of contract, breach of the implied covenant of good faith and fair dealing and intentional interference with economic advantage. The Court granted a motion for summary judgment dismissing the distributor's entire case. Representation of an international beverage manufacturer in defense of a state action seeking injunctive relief and damages alleging breach of contract, breach of the implied covenant of good faith and fair dealing, fraud, and intentional interference with economic advantage. The Court granted a motion to quash service of summons and complaint on comity grounds novel to California law ultimately resulting in the dismissal of the action.